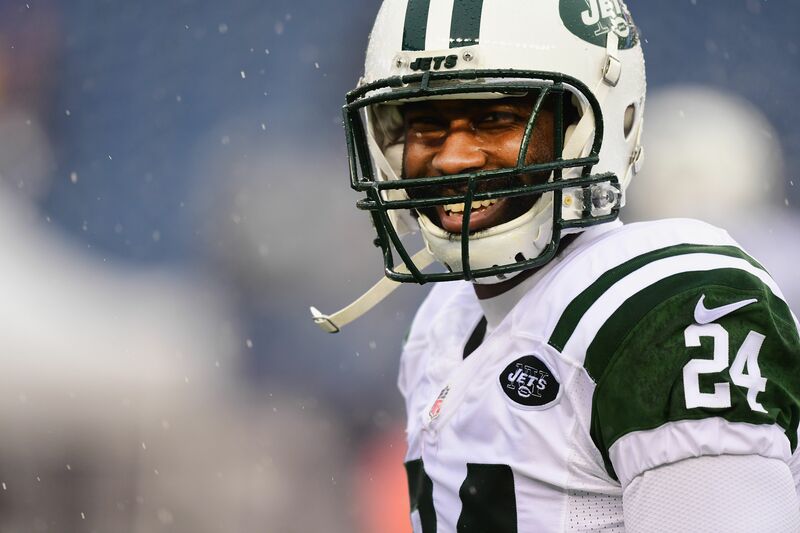 As injuries start to thin secondaries around the league, interest in Darrelle Revis seems to be ramping up. Heading into Week 3, the Los Angeles Chargers got confirmation they will be without top cornerback Jason Verrett for the rest of the season after knee surgery. Good available options are obviously not really out there at this point, but ESPN’s Adam Schefter reported the Chargers are a among a handful of teams that have reached out to Darrelle Revis. Revis is a seven-time Pro Bowler, but it’s been much easier for opposing wide receivers to reside on “Revis Island” over the last couple years. He’s set to earn $6 million from the New York Jets this season whether he plays or not, subject to offset language, which has helped fuel further questions about his level of commitment and partially explains why he’s still available right now. But Revis apparently still expects to play this season, and he has been working out in Florida. Dallas Cowboys wide receiver Dez Bryant took to Twitter to recruit Revis back in June, and with injuries thinning that team’s cornerback depth early in the season Dallas could easily be one of the other teams with interest. At 32 years old and clearly in the decline phase of his career, Revis is not going to be the shutdown corner he was ever again. But he could help the Chargers, with a pass rush led by Joey Bosa and Melvin Ingram to make things easier on the entire secondary. Any chance Revis has to sign with a team is still rooted in his asking price. Anything less than $6 million for this season, or the prorated equivalent at this point, would be a pay cut for him. Does he want to play badly enough to consider doing that? The guess here is no, but it can’t hurt the Chargers or any other team to bring Revis in for a visit.